More films are made in Cape Town than in any other South African city. 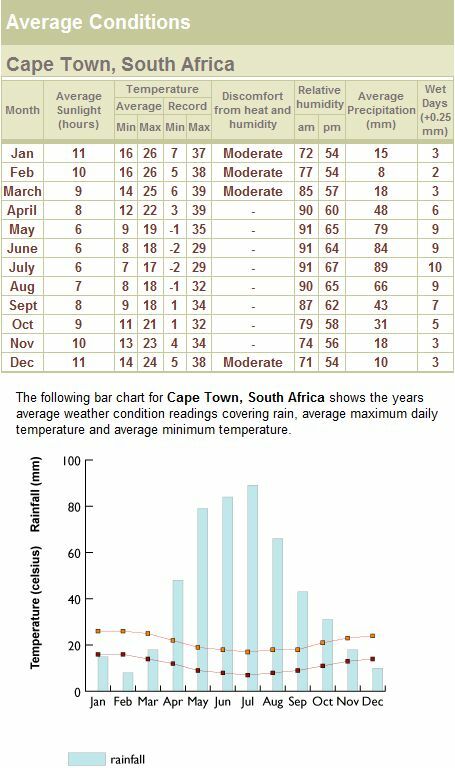 Warm, dry summers (October-March) with mild, wet winters (April-September). As it’s one of the world’s most popular tourist destinations, Cape Town has an abundance of good hotels and guest houses, renowned restaurants and exciting activities. Extensive national roads link Cape Town to Stellenbosch, Somerset West, George, and the central Karoo within the province.